Do you want to know who is downloading your gallery images? Sometimes you may need to keep track of your image downloads from your site. 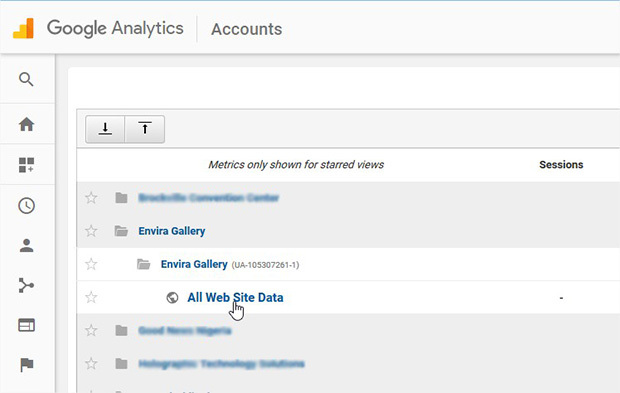 In this tutorial, we will share how to track your WordPress gallery image download analytics. Keeping an eye on your image download analytics will help you understand your user behavior, so you can upload relevant photos to gain more attraction. Normally, tracking downloads on your WordPress site can be a hassle, since you have to edit the code on your site. The easiest way to track image gallery downloads in Google Analytics is with the MonsterInsights, the best Google Analytics plugin for WordPress. With MonsterInsights, you can set this up in a few clicks – no need to know any code. The first thing you need to do is install and activate MonsterInsights plugin on your WordPress admin backend. Wondering how to install MonsterInsights? Check out this simple plugin installation guide with screenshots. Since you’ll be tracking the image downloads, you need to set up your Google Analytics account in WordPress to enable the record. 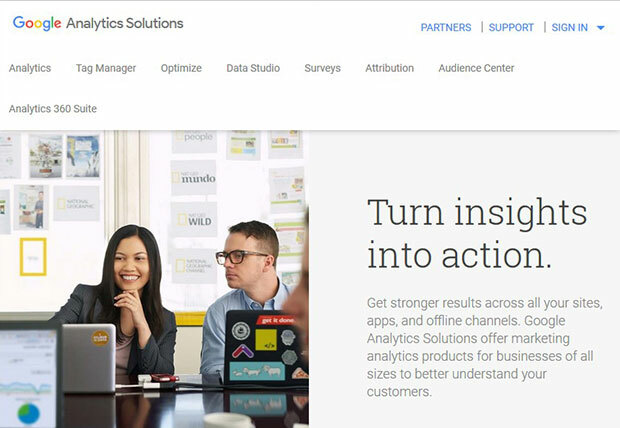 You should check out this guide on how to properly setup Google Analytics in WordPress. Once enabled, you can go ahead and manage the settings to track your WordPress gallery image download. Now you need to go to Insights » Settings » Tracking from your WordPress admin backend. In the sidebar, you should go to File Downloads. By default, Event is already selected for you. It is not recommended to select Pageview, as it distort your traffic statistics in the Google Analytics. After selecting the tracking method, you should add your image extensions in the Extensions of File to Track as Downloads field. The default extensions are: doc,exe,js,pdf,ppt,tgz,zip,xls. However, you can add jpg,png,gif or any other image extension to this field that you want to track in Google Analytics. After setting up your file download tracking, it will take some time for Google Analytics to gather your data. Give it a day or two before you check your stats. Then, you need to login to your Google Analytics account and go to the website where you want to track the image downloads. 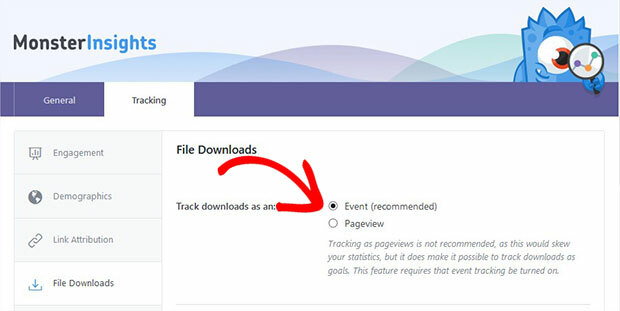 If you have selected Pageview to track download in the previous step, then go to Behaviour » Site Content » All Pages in the left sidebar on your screen. However, if you have selected Event, then go to Behavior » Events to view the report. All the analytics settings will work similarly in general. You don’t need any other configuration in your Google Analytics account. That’s all. We hope this tutorial has helped you to learn how to track your WordPress gallery image download analytics. You may also want to check out our guide on how to create an image gallery with thumbnails in WordPress. In case, your users exit from the site without converting, you should check out this OptinMonster’s powerful exit-intent technology to convert your abandoning visitors into subscribers and customers. If you like this tutorial, then please follow us on Facebook and Twitter for more free WordPress and photography guides.